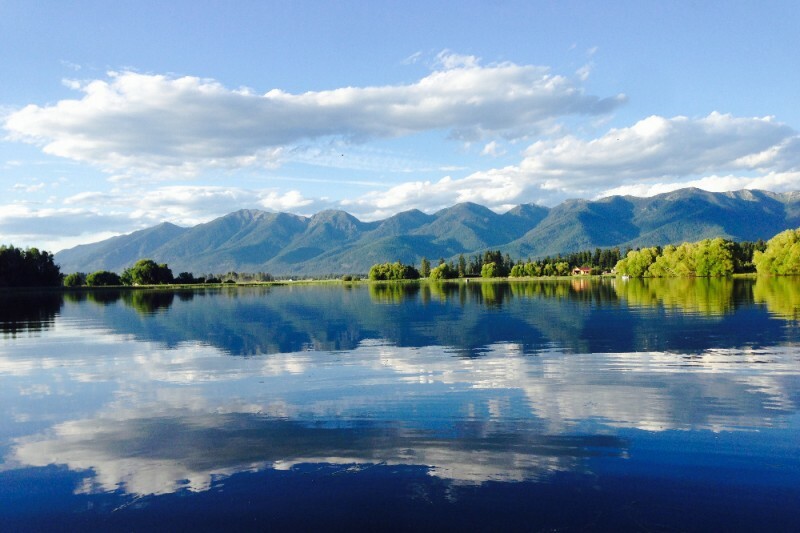 Water For Flathead's Future is a grass roots organization that advocates sustainable use of our surface and underground water resources to assure that the needs of the people, fish and wildlife of the Flathead Valley of Montana can be met now, and for generations to come. Any person, or company, that endangers the quality and availability of this most valuable resource by shipping large quantities of it away from the local area poses a threat to our livelihoods, our happiness and our economy. We work to prevent this from happening by advocating land use reform and denying permits for any such activities. We are made up of farmers, homeowners, sportsmen and business owners from around the Flathead Valley, all who believe in careful conservation of water resources that belong to all the people of Montana. We represent thousands of Valley residents from all walks of life. So, here is the story....It seems our Valley, just 30 minutes south of Glacier National Park, has been targeted as the next best place for a huge water bottling plant. A bottling plant that, at full build out, will be producing 1.2 billion 20 once bottles of water, and shipping it out of state . This one industrial bottling plant is slated to take more water from the aquifer than the Nestle owned Arrowhead Water plant in California, and is located just 1300 feet from the Flathead River, which is fed by the melting snow pack in the mountains of Glacier National Park and surrounding areas. Not only will they be removing the water from the aquifer, but they will be making the bottles on site, with heat, and then rinsing them and dumping the rinse water into a small creek which inturn, flows into the river., which inturn flows into the Flathead Lake, described as one of the cleanest lakes in the world. This area is prime farming and in an incredibly scenic area of the valley, with eagles flying overhead, and endangered bull trout in the river. We don't want the chemicals from heating plastic in the river, and we don't want a fight with a huge corporation either. We need to stop this now, before it goes any further, before it's too late! We have hired attorneys, one to challenge the Department of Natural Resources temporary permit, and one to challenge the Department of Environmental Quality's lack of research in their Environmental Assessment (or lack thereof). We also have had to hire water engineers to gather information for the attorneys. This is a fight that may go as far as the Federal Courts. Our goal is to keep this from happening, now or ever, in Montana, "The Last Best Place". We need to preserve this valley for all who live here and those that choose to visit this incredible place. We believe we will need $50,000 or more by December in order to keep fighting this . We also would like to get started on a Ballot Initiative which would give the people of Montana the right to vote on whether or not they want industrial water bottling in their state. For more info, please visit our website, Waterforflatheadsfuture.org There you will get much more info that I can share here. Please donate to this worthy cause. We can't do it without you! If you have ever visited Montana’s Flathead Valley and Glacier National Park you were awed, like most people, by its pristine beauty, its majestic scenery and its relatively traffic free highways that run throughout the area. The inhabitants of this area live in what climatologists would call a semi-arid geographical region. Average rainfall is 16 inches per year while the US average is 39. Yet there are special interests afoot that want to take the water from the aquifer underlying the Flathead Valley just outside Glacier Park and bottle and sell it outside the state. Corporations have been draining the aquifers of the West, depleting the water resources of the areas impacted, destroying the environment and making huge profits by selling bottled water nationally. This has happened in state after state all over the country and local residents have to wage a legal battle against big moneyed interests to stop this theft . A local group of Montana residents has been fighting to keep the water we have for our future needs. 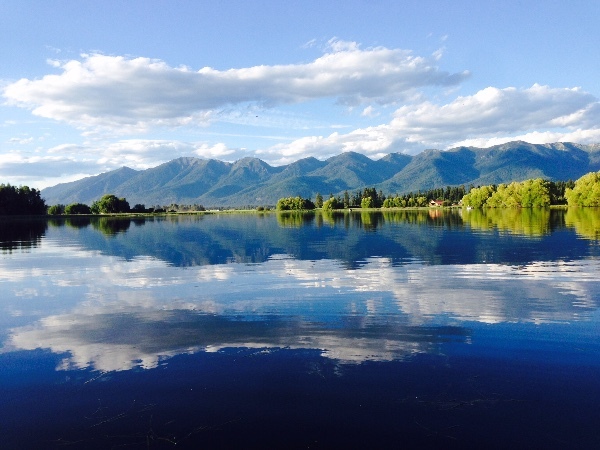 Water For Flathead’s Future is a residents’ group formed to try to stop state agencies from allowing a company to pump what would amount to 1.2 Billion bottles of water annually from the ground in the middle of the Flathead Valley. This venture, if it succeeds, would result in 18 wheeler trucks loaded with bottles leaving the bottling plant on gravel roads and entering county highways every 8 minutes every day of the year. Think of the traffic mess it will create for the summer visitors who come to enjoy Glacier Park and the lakes and towns of the Flathead. We have already had to spend almost $200,000 fighting the big company interests that lie behind this greedy move. Contributions have come in from all across the area and the fight goes on and will cost more in the upcoming months as the fight continues. If you have ever visited Glacier Park and the surrounding area, or hope to in the future, please help us to preserve the navigable highways, unladen with huge trucks filled with water bottles clogging the roadways, and to keep this area habitable and enjoyable to its residents and visitors as well as being a healthy home to the bull trout and bald eagles and other wildlife that inhabit the valley. Montana has been called “The Last Best Place” and we want to keep it that way. We learned yesterday the the Department of Natural Resources have granted this Water Bottling Permit. Our next step is to take this to District Court, which we plan to do in the next 30 days. We need more money to fight this and we need your donation! Please give what you can. If everyone who could only afford $10 would give, just imagine how much money we could raise. If every one just gave a dollar? Please help, we are in great need of support. We can not do this without your support! Hey guys- Wanted to share this new video we made of our fight in action. We need your help now more than ever. Our legal costs are adding up so any monetary contribution you can make is greatly appreciated. Thank you for doing all you can to stop this plant for so many reasons: groundwater availability for traditional uses, change to rural setting by most importantly not needing to fill more plastic bottles with water.